Surrounded by the grandeur of the Himalayas in the Doon valley, it strikes me that the mountains only serve to unite with their allure of serene remoteness. People find the aloofness of mountains attractive and set about exploring and conquering them as they do the raging seas; thus, advancing the human race not just by exposure to geographic or cultural novelties but also intellectually, by challenging their own comfort zones. Words do similar things for writers. Writers get drawn out of their comfort zones to generate ideas that stimulate. In a world connected by clouds and birds that do not accept geo-political barriers, thoughts and ideas waft from region to region, sometimes gaining local colour but always creating a sense of interconnectedness. To harness these ideas into a stream, writers need an easy access to a forum that reaches out to the rest of the world. This forum would have to be a confluence where words from writers reach out to unite, probe, create, describe and move all mankind. The Best Asian Travel Writing series is the first of its kind, showcasing Asia’s finest travel writing. This second edition of TBATW is due for publishing in 2019. We are looking for submissions from travel writers. The edition will choose the best twenty or so pieces from the submissions. By ‘Asian travel writers’, we mean all travel writers who belong to the continent of Asia, including the Middle East (West Asia). We aim to amplify the voices of Asian writers in the field of travel writing and while priority will be given to authors who come from Asian countries, non-Asian authors who have resided in and written extensively about an Asian country will also be considered. TBATW will include a wide variety of work that will capture the wonder, humour, fear and joy that greets us all every time when we travel. Importantly, it will also capture the frisson of excitement and uncertainty in the air when we embark on a journey to a new place, or even to a familiar one. TBATW aims to corral stories on nature/conservation, cultural history, sociological and anthropological manifestations, the outdoors and adventure, gastronomy, and any other compelling idea you think that would meld into the edition and add to its freshness. “The Librarian” is a dark, powerful novel that will appeal to everybody who has ever loved a book, or found happiness in a library. 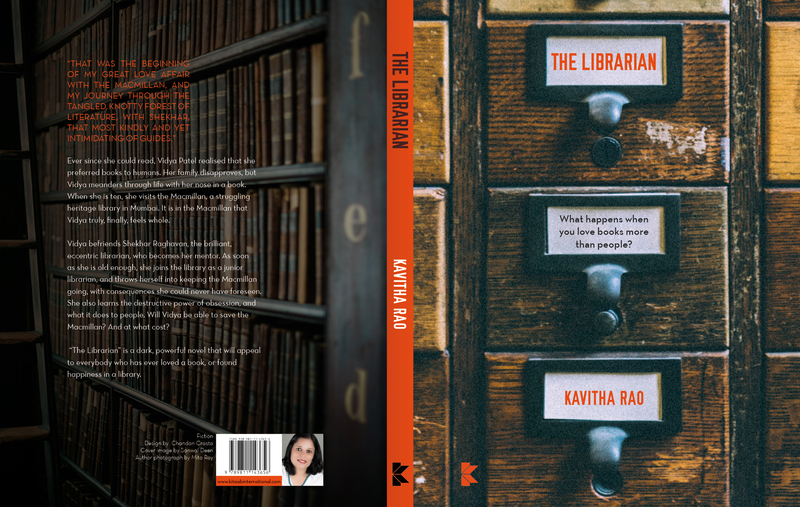 Kitaab Singapore is pleased to announce its upcoming fiction title, The Librarian by Indian author Kavitha Rao. This is her first work of fiction. The novel is slated to be launched at the Singapore Writers Festival 2017 in November. Ever since she could read, Vidya Patel realised that she preferred books to humans. Her family disapproves, but Vidya meanders through life with her nose in a book. When she is ten, she visits the Macmillan, a struggling heritage library in Mumbai. It is in the Macmillan that Vidya truly, finally, feels whole. Vidya befriends Shekhar Raghavan, the brilliant, eccentric librarian, who becomes her mentor. As soon as she is old enough, she joins the library as a junior librarian, and throws herself into keeping the Macmillan going, with consequences she could never have foreseen. She also learns the destructive power of obsession, and what it does to people. Will Vidya be able to save the Macmillan? And at what cost?